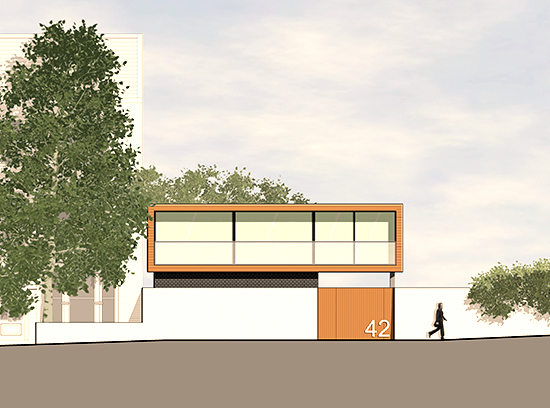 A private house proposed for a developer on a former garage/car-repair workshop. 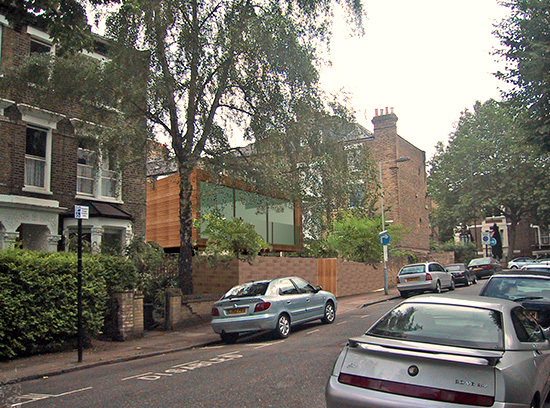 A two bed-roomed home was proposed with bedrooms at lower ground floor level with open-plan living dining kitchen accommodation at raised ground floor level, with full height and full width glazing onto a cantilevered balcony framing views over adjacent gardens. The house was highly insulated to minimise energy use, and also included grey-water recycling, etc.